A useful Guardian article highlights the boom in new age music. Whales and waterfalls may not be everyone's cup of tea; however it is easy but wrong to dismiss the new age revival as having no relevance to Western classical music. Back in 2011 On An Overgrown Path highlighted the $11 billion opportunity offered by the mind, body and spirit market. Another more recent post proposed that classical music should be answering a cry for help, a proposal that has been given painful relevance by recent political developments on both sides of the Atlantic. The current reluctance to leverage classical music's therapeutic qualities is puzzling as in the past there have been some spectacularly successful fusions examples of music and mindfulness. Geeta Dayal's Guardian article focuses on the American market for Eastern-oriented new age music, but there is an even longer and more Occidental history on the other side of the Atlantic. 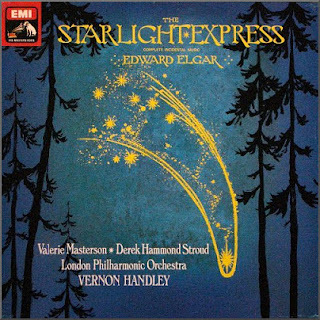 In Victorian times it was fashionable for intellectuals to dabble in mysticism and as described in 'Elgar and the occult', the composer wrote incidental music for the Starlight Express*, a play replete with sub-texts drawn from the Hermetic Order of the Golden Dawn. This qabalistic order dabbled in astrology, tarot divination, geomancy, magic, and astral travel. The Starlight Express only ran for one month in London, but another proto-new age music production had a far more spectacular success. Glastonbury can lay claim to being the birthplace of the global new age, and Rutland Boughton's The Immortal Hour** was given its premiere in a piano reduction at the very first Glastonbury festival in 1914. The opera (or 'choral-drama'), which is a masterly conflation of mysticism and magic, was staged at the Birmingham Repertory Theatre in 1921 and moved from there to the Regent Theatre in London's West End. Today, when the classical music industry is obsessed with audience size, it should be noted that The Immortal Hour ran for 216 consecutive performances starting in October 1922. It then ran for another 160 consecutive performances starting in 1923, with further major revivals in 1926 and 1932. The Immortal Hour is an example of crazy wisdom confounding conventional wisdom. Today conventional wisdom is the dogma of classical music - speaking of Birmingham could not Mirga Gražinytė-Tyla have found something more crazy and less over-exposed than Mahler's First Symphony to conclude her debut concert as the City of Birmingham Symphony Orchestra's music director? Yes, I know that Mahler fills the hall. But so did public guillotining at the time of the French Revolution. And I also appreciate that in our cash-strapped age there are massive logistical problems in reviving the Starlight Express and The Immortal Hour; although someone should consider extracting a concert suite from the latter. * EMI recorded the complete incidental music for The Starlight Express in 1974/5. The recording was to have been conducted by Sir Adrian Boult; but he had to withdraw from the sessions and Tod Handley, who assisted Sir Adrian in his later years, conducted instead. The production was by the EMI dream team of Christopher Bishop and Christopher Parker in Abbey Road Studio One. Both performance and sound are exemplary, but sadly the CD transfer is now deleted. 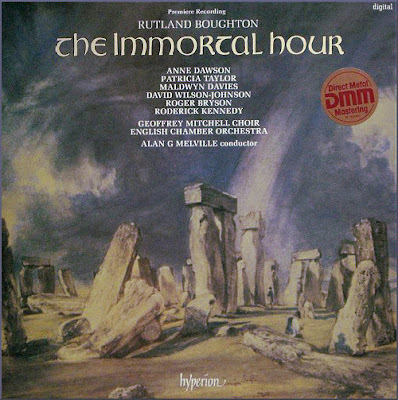 ** Hyperion's essential 1983 recording of The Immortal Hour with Alan G. Melville conducting the Englsish Chamber Orchestra is, thankfully, still in the catalogue.